The Haunted House is not part of the exhibition trail and can only be visited upon booking by all visitors with a valid admission ticket. 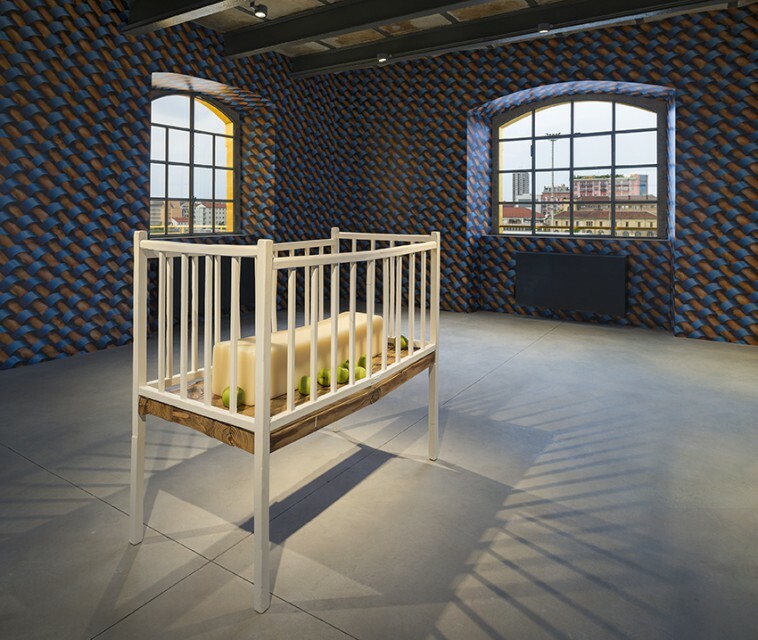 Bookings can be made at Fondazione Prada ticket desk, on a first come-first served basis for groups of maximum 20 visitors at a time. Due to its architectural features, visiting the Haunted House requires climbing four flights of stairs. The use of the service elevator is reserved to visitors with disabilities. 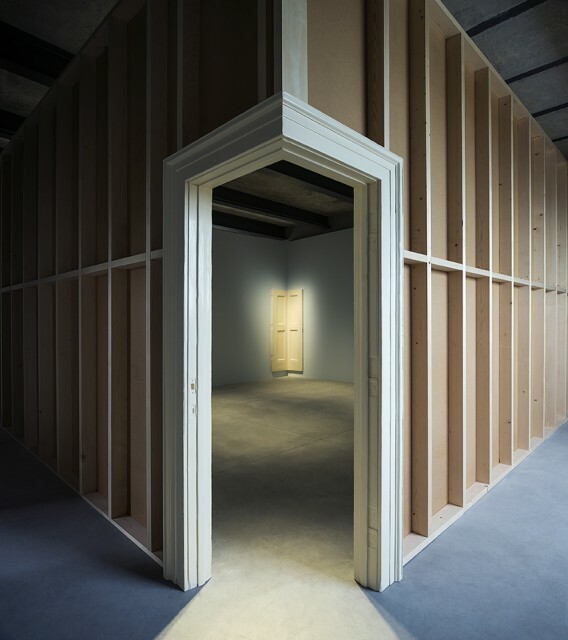 Like the whole Fondazione Prada site, the Haunted House is part of a former distillery complex dating back to the 1910s. 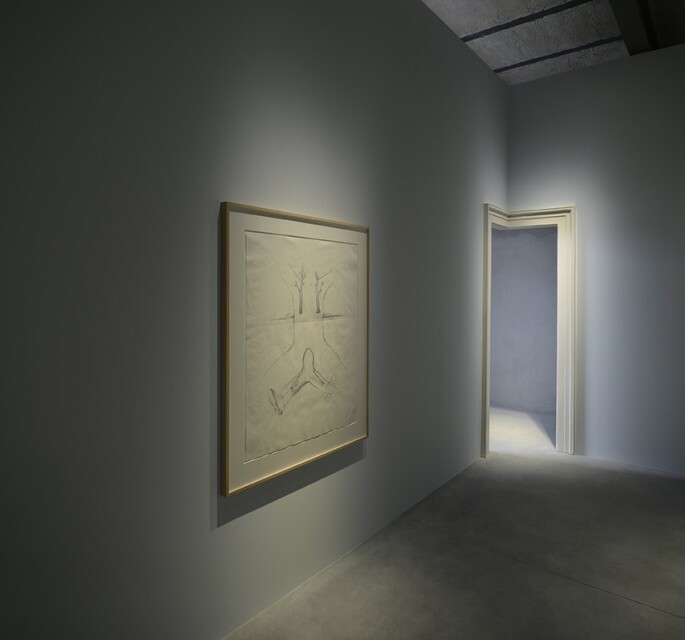 Without transforming the original volumes, the architecture project has preserved and enhanced the building by reinforcing the structure and gilding its external surface. Big windows highlight a strong relation with the external urban landscape and the adjacent buildings, but at the same time the sequence of single rooms preserves an intimate spatial scale. 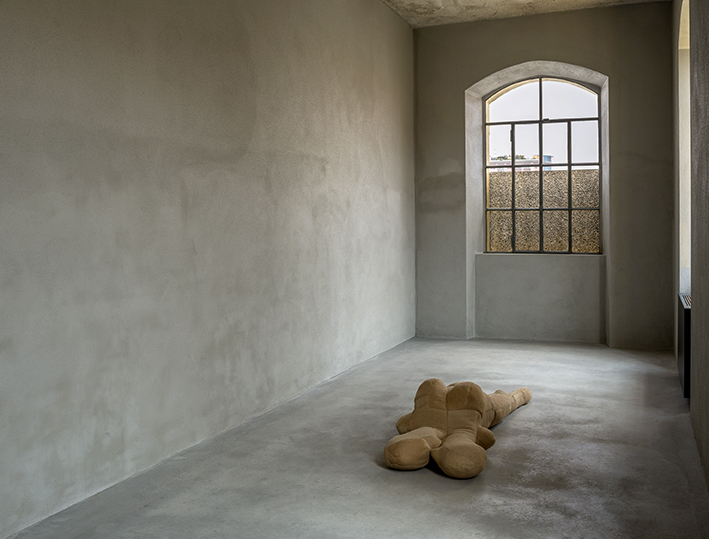 Its secluded environments host a permanent installation conceived by Robert Gober (1954) and two works by Louise Bourgeois (1911–2010). 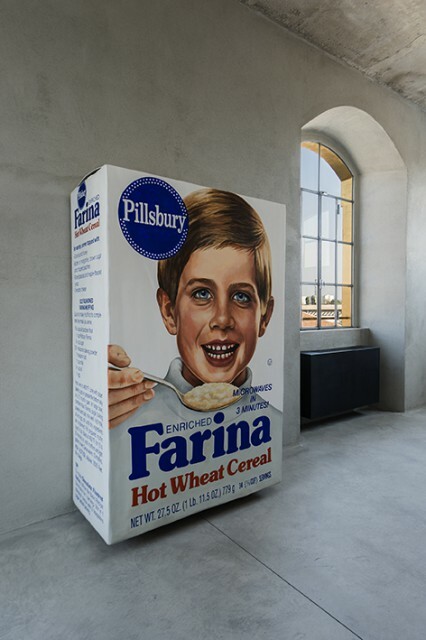 On the higher floors of the building, Gober, whose work explores sexuality, relationships, nature, politics, and religion, combines historical art works such as Untitled (1993–1994), an oversize Farina box on display on the second floor, with new ones such as Original Model for Top Floor of the Haunted House (2014). 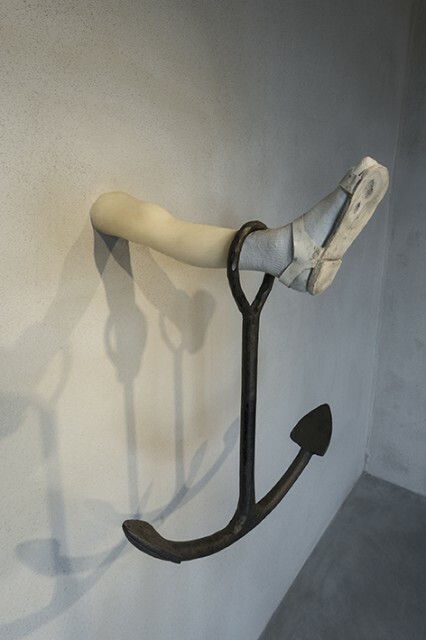 By using everyday elements the artist creates hybrid objects: Arms and Legs Wallpaper (1995–2015) refers to a recurring pattern within the artist’s practice, while portions of architecture— such as Corner Door and Doorframe (2014–2015) or the bronze drain Untitled (2014–2015)—are here dislocated and therefore estranged, despite containing elements familiar to everybody. 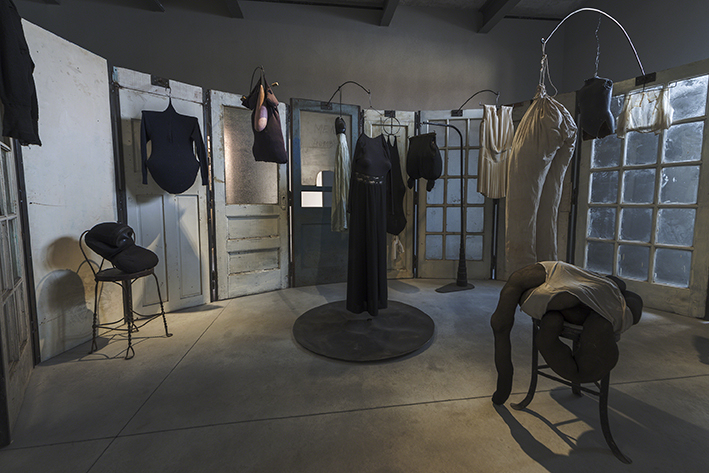 On the first floor, Gober’s works, which reverberate connections to childhood and to body parts, find a counterpart in Louise Bourgeois’s Cell (Clothes) (1996)—a circular construction made of adjoining doors and treated iron gates, peopled by sculptures combined together with personal objects originally belonging to Bourgeois herself—and Single III (1996), a fabric sculpture.